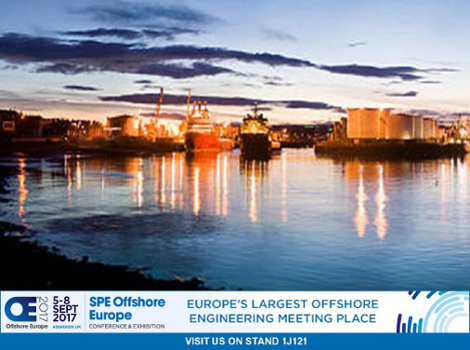 Raccortubi Norsk will be exhibiting at the forthcoming edition of SPE Offshore Europe, held at the AECC (Aberdeen Exhibition and Conference Centre) in Aberdeen (Scotland) from 5th to 8th September 2017. The exhibition is one of the UK’s largest E&P event dedicated solely to the Oil & Gas industry, and Raccortubi is very proud to participate with the Group’s local representative, Raccortubi Nork. It is, in fact, the first time for the subsidiary to present its offer and services during a trade fair and being on home ground can only be a further advantage. Tailor-made solutions in both production and distribution are on the agenda for the Raccortubi team in Aberdeen, who can now boast a local comprehensive stock with over 300 tonnes of material, regularly replenished thanks to the integrated manufacturing plants located in Italy. Following the Group’s mission of exceeding customer expectations in supplying premium quality piping materials for critical applications, Raccortubi Norsk will be pleased to present itself to visitors and customers at stand 1J121 to show what this really means locally.